It’s 10 years since Victoria Hislop’s extraordinary debut novel, The Island, was first published. Since then it has gone on to sell millions of copies in 24 languages around the world. 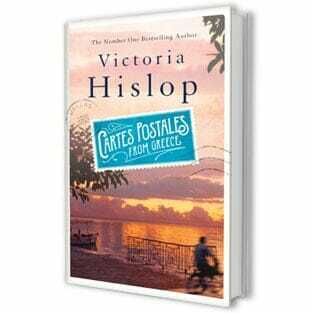 To celebrate we would like to invite Victoria’s fans to join her on Wednesday 16th September for a exclusive event, which will include the only UK screening of the first episode of Το Νησί the hugely successful Greek TV adaptation of the novel. The £25 ticket price includes a special limited edition hardback of The Island (RRP £30) and a bespoke goody bag. For more information, or to book tickets, visit the event website here.